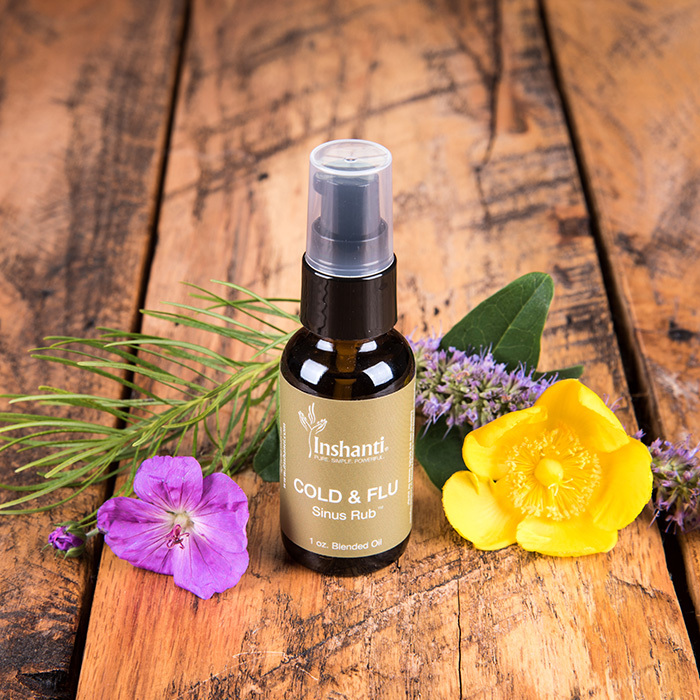 Banish the aches, pains and congestion of colds and fever with Inshanti’s specially formulated rub. Whether you add it to your bath water or apply it directly to your skin, you’ll soon find this soothing essential oil blend offers real relief. You’ve suffered enough from those cold and flu symptoms. Allow the pure essential oils of Roman Chamomile, Ravintsara, Eucalyptus globulus, and Laurel Leaf to calm your spirits, reduce your fever and boost your immune system. You’ll feel less anxious about your illness and able to rest so your body can perform its restorative healing work. 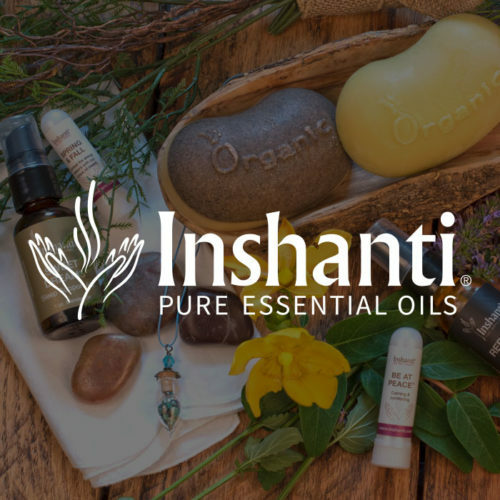 Certified Organic Simmondsia Chinensis (Jojoba) Seed Oil, Anthemis nobilis (Roman Chamomile) Oil, Cinnamomum camphora ct 1.8 cineole (Ravintsara) Oil, Eucalyptus globulus (Eucalyptus Globulus) Oil and Laurus nobilis (Laurel Leaf) Oil. Apply to neck, chest, forehead/temple areas and/or to bottom of feet. Swab inside nose. Can also be used in bath water. Use to assist with aches, pains, fevers and congestion. Care must be taken when using with asthmatics. If pregnant, nursing or under a doctors care, consult your physician or clinically certified aromatherapist. External use only. Keep away from mucous membranes and eyes. Test a small amount on skin for allergic reaction. Keep out of reach of children. Do not use on infants or small children under the age of 5 years old. Gain mental clarity with Spanish sage essential oil, the subject of research studies for its effects on memory and Alzheimer’s. 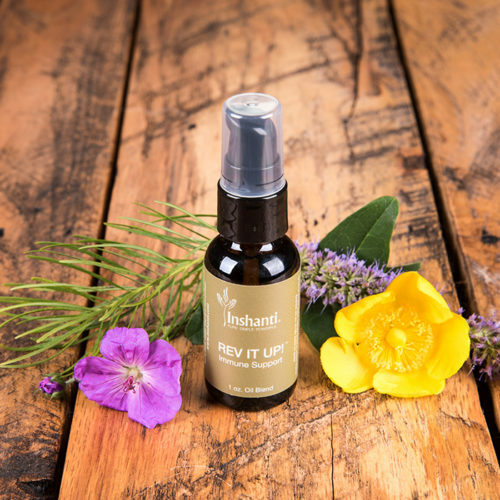 * This fresh-scented oil has anti-inflammatory, anti-anxiety, and pain-reducing properties that help fight fatigue and calm your nerves while relieving your pain.